I would hope they focus installation priority on the new birds coming out with no connectivity over the current GoGo fleet. Otherwise, we will have an increasing number of the new planes with no connectivity at all that may be waiting for installation later. As for that 1/1 "activation" date, it appears these are already activated where installed. I would think it is just about when each particular plane gets it installed. The WiFi is working for the local media but internet access is not. The story about 1/1 "activation" seemed highly improbable to me. My speculation is that--like so much else with AS these days--AS is simply trying to save a few bucks by not paying for the Ku2 (or even ground-based Gogo) service until the first of the year. I could be totally wrong, but it makes no sense that your brand new aircraft wouldn't be equipped with fully operational, Internet-ready hardware. Interesting soft rollout, in that AS corporate has been talking about scheduling a news media flight to show it off since late May. In October, the only date given was "before the end of the year." Glad to hear it's finally in use on some aircraft. Flew AS 421 BNA-SEA on Tuesday. Tail N288AK. Alaska_Wifi showed as network, but no internet available. FA claimed that it would only be activated on/after 1/1. Just checked and while this is a newer aircraft, it's been flying since May. I was a little pissed as I really could have used the connectivity that I had anticipated. Was offered the grand sum of $25 credit for my trouble. AS748 on Monday, 12/3 had it (I think). We briefly lost connection but otherwise it was smooth sailing. 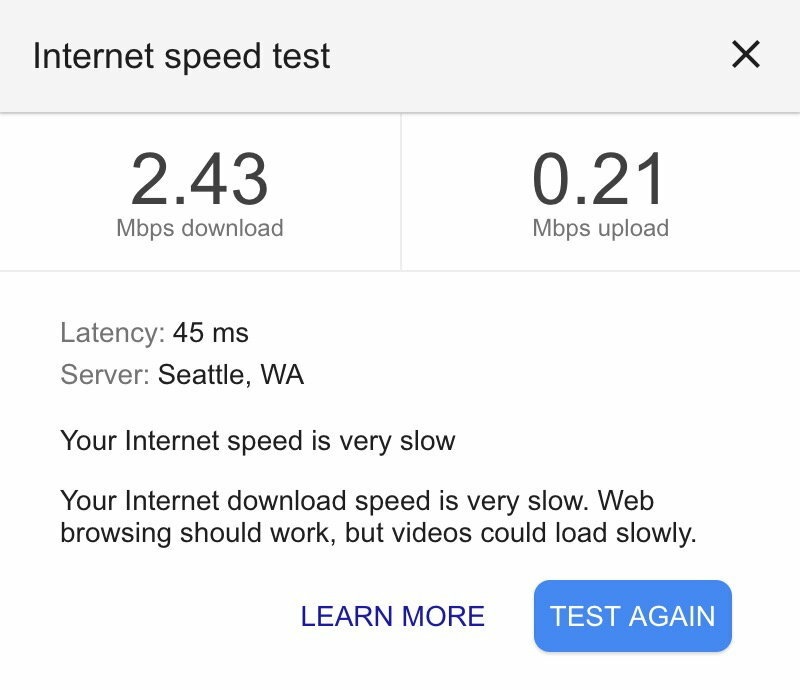 The wifi SSID had changed to Alaska_Wifi and when we briefly lost connection, the GoGo screen told us it had lost satellite connection. As I walked up to AS102 SFO-JFK on N293AK I noticed the radome on the top of the aircraft. Immediately connected to Alaska_Wifi on the ground. In the air speeds were not ideal - barely 2mbs. But I also suspect some pretty heavy users on this route. Flight pass was $20 but I had an all day GoGo pass I redeemed. That latency seems too good to be satellite...? 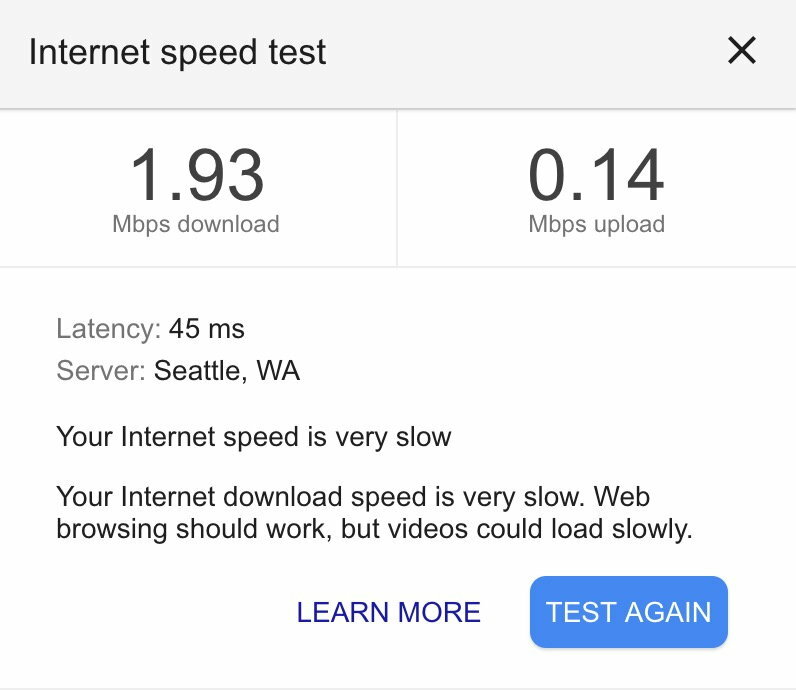 I am on a Skywest E175 DAL-SEA right now and just got 140ms, 1.98 down, .59 up. Stats above seem more in line with current GoGo. Yep, no way that is satellite. I have had one flight on the new system and latency was around 800ms. Download and upload speeds were better as well. Can't find the speedtest I sent my coworker no but I want to say it was 12MB down. Not exactly broadband speeds but very usable. Agreed on quality. I did have gate-to-gate access. Not sure if that is just a setting they are changing during the transition but still using the old radio system. Today I am on AS449 with old GoGo and its miserable, cuts out constantly. Might have to do more with the northern route than anything but after yesterday its maddening. It takes about 120 ms for the signal to go one way between you and the satellite so the minimum possible latency to ping the satellite is about 1/4 of a second and the minimum possible latency to ping something on the ground is about 1/2 of a second. Realistically you can expect times more like 700 ms. Here is today's GoGo speed on AS449 without any satellite equipment onboard yet. Suggest you all are about yesterday being the normal ground based system, with satellite gear just installed. Yep. Streaming will not be an issue. A short buffer period and you are off to the races. Even with the latency I was able to RDP reasonably well and that is a latency sensitive protocol. Definitely a little laggy but it is great to be able to do it in the air in a pinch. ...and if everybody starts doing it, nobody will be able to do it (or many other needed activities). Can I stream my own movies on satellite Wi-Fi? Yes. Stream live video and audio using streaming services such as Netflix™, Amazon Prime™ or Spotify®. Note, video streaming quality may be reduced to standard-definition quality. Took the first revenue flight on N296AK yesterday, it has the 2Ku satellite connectivity. The conversion can't happen soon enough!